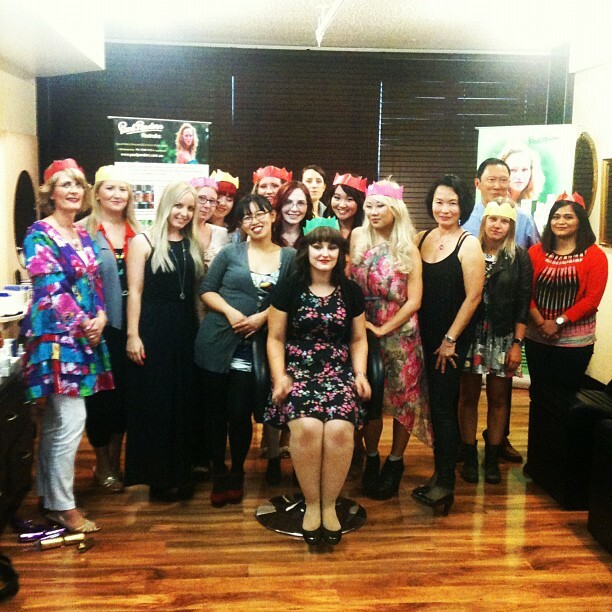 QuestJen: Beauty Blogger Xmas Party! On the 10th of December, the ABBM girls had a Christmas party at Violet's Hair, a cosy salon found all the way up to level 10 of a King William St. building. I didn't know such a hair salon existed until I got the invite for the Xmas party. I was worried about coming late (was late to ABC!) 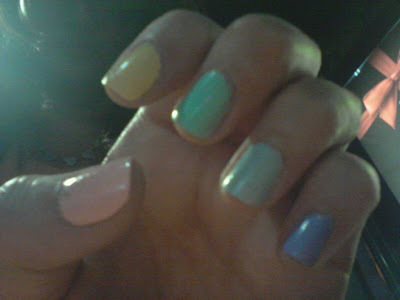 so I made sure that I prepped and left extra early, especially as I was catching public transport again. I ended up being very early and only Anna-Lisa (the owner of Violet's Hair) and Kitty was there sitting on the sofa. Early is definitely better than late!! 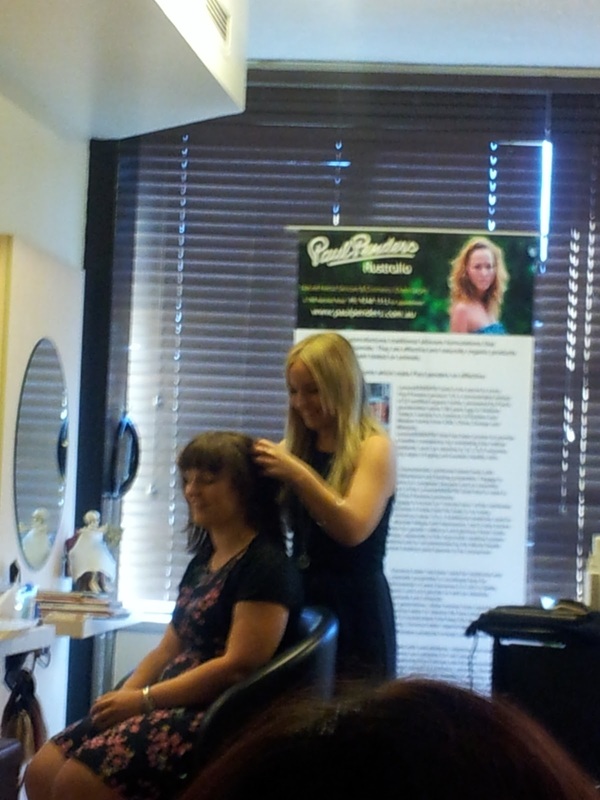 The first workshop we had was a hair demo by Anna-Lisa where she used a ghd straightener to make curls. While she was demonstrating, she also went step by step through each process and gave us tips along the way. 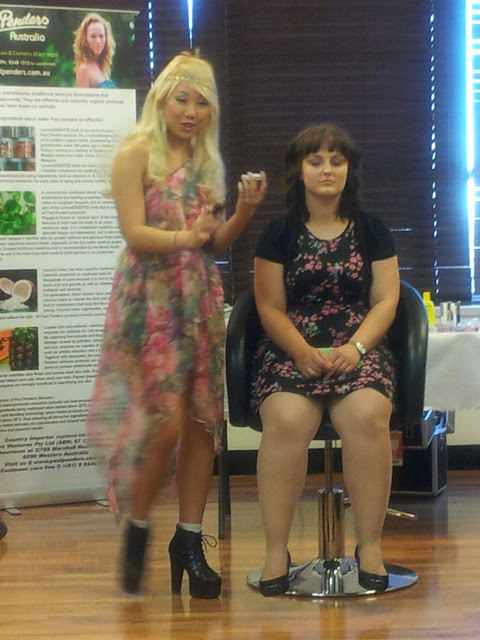 This demo was done on Monnie's hair. 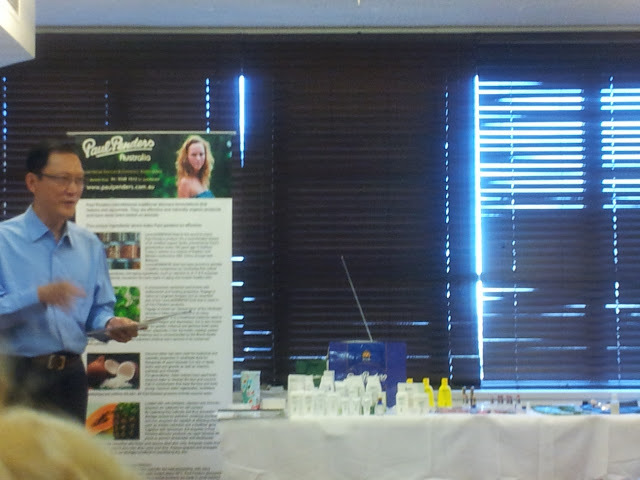 Next we had guest speaker Calvin introducing Paul Penders Natural Cosmetics and Skincare products. Calvin and Bee from Paul Penders had flown from Perth just to come talk to us! It was very lovely to have them join us in our Blogger Xmas party and I enjoyed hearing about Paul Penders for the first time. Calvin did a really good job with speaking about the company and products despite being the accounts person of Paul Penders! Next up we had the sassy Kitty, our resident makeup artist do a festive look on Monnie. Lucky Monnie with the hair and makeup done! Afterwards we had a little competition where we had to pair up and do a makeup look on each other with only 5 minutes! I paired with Rebecca and ended up using the whole 5 minutes on her lol~ It was quite difficult and I had trouble working with loose mineral eyeshadow and limited colours AND time!! I was so focused that I didn't even realise a picture was taken! 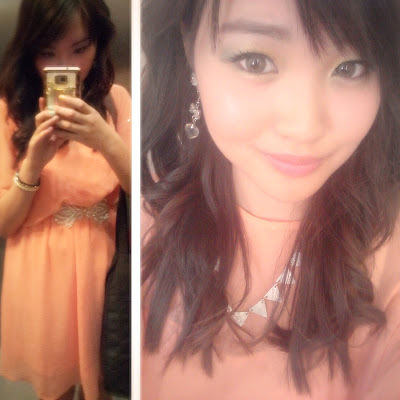 We didn't end up winning the Paul Penders mini hamper but it was still fun to play around with makeup on the night. 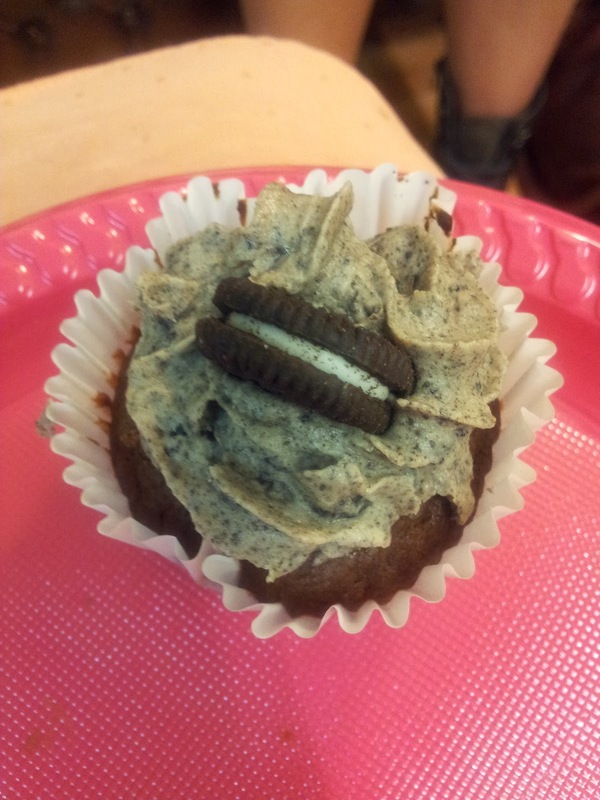 It was all good fun and I want to thank all of the lovely ABBM attendees for being there and bringing nibbles! I particularly liked Neena's Oreo cupcakes - yum!! Massive thanks to the ABBM organisers, Celeste and Stacey. None of these events would be possible without you two ♥. Wow!! Looked like so much fun!! Your eyemakeup is beautiful. Aww thanks so much Michelle! Vlog: My 10 Favourite Products of the Year! Can a Liquid Eyeliner Last 36 hours? !